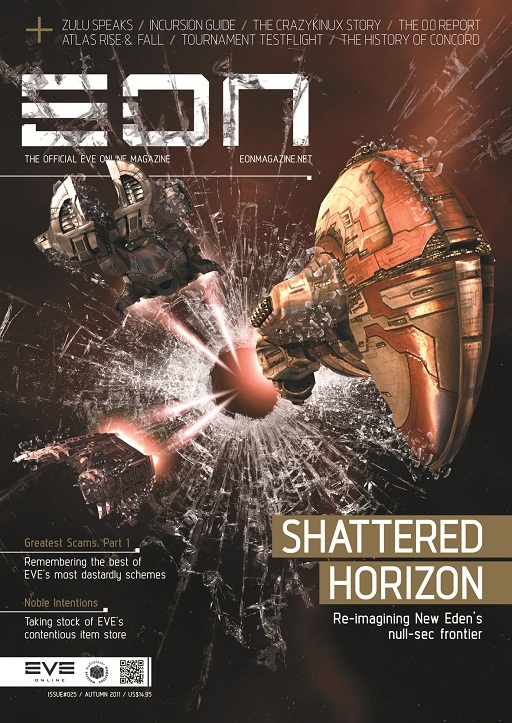 Deep in the bowels of CCP's experimental gameplay lab, the future of mining is being discussed - and EVE's official magazine has been granted security clearance to join the coversation. Their final report forms the basis of this issue, looking at EVE's oldest profession, taking in the history of Hulkageddon and profiles of some of New Eden's biggest industrial corps. This is my forth year at fanfest and Im liking it well enough so far! The dust514 presentation was quite nice but Im still a bit wary about the fact that it runs on Playstation 3.
Who knows, maybe after a year it'll be released on PC aswell? Anyway, the day continues and Im about to head out to the fanfest venue. Going to the scandinavian roundtables and then to other activities. The big plan for the evening is eating sentient beings, namely whale! Don't hate too hard, I'm a pirate - not a greenpeace activist! Its 0500 Zulu and pretty quiet. INIT. controls the station during this hour so its all blued up right now. After having tried to catch a couple Cynabals and a Vaga in HLW with her Rapier and Widow combo she heads back to G-0. "Guess I'll get back in the Malediction." Sitting outside the station, our pilot spots a Crusader at a tactical and burns for it... Continue reading "Pirate Gone Null"
Continue reading "outnumbered, outgunned... f@#k it lets go"
Dominion was the last time the foundations of null-sec were reformed and, while intentions were good, two years on things haven't turned out quite as hoped. Now CCP is preparing to set things right again, only this time with long-term vision that could impact not just 0.0 space, but every part of EVE Online. Massively.com 's Brendan Drain explores the potential for EVE's long-term future and sees reason to be quietly optimistic. If you weren't tempted into EVE by the boasts of an impending expansion, it may have been due to the exploits of the players - those that have stolen and scammed their way to become New Eden's most notorious characters. From Nightfreeze to Cally and from Remedial to Istvaan Shogaatsu, we look at the 10 biggest thefts and most notorious scams that dominated EVE's early years. The Noble Exchange has probably been the most contentious addition to EVE since the game first went live, providing a means for characters to dress themselves up in specialist virtual clothing at a premium non-game-breaking price. We fired off a load of questions to CCP to see how business has been going and ask what's in store for the next iteration of NeX as a new expansion nears. Six months on since they were introduced to New Eden, we evaluate and explore EVE's most recent gameplay addition, with a guide to joining and emerging victorious against the Sansha hordes. Also in our expanded 15-page Knowledge Base Guide section we dig behind the back story to bring you the definitive history of CONCORD. Who's top of the BattleClinic Rankings? 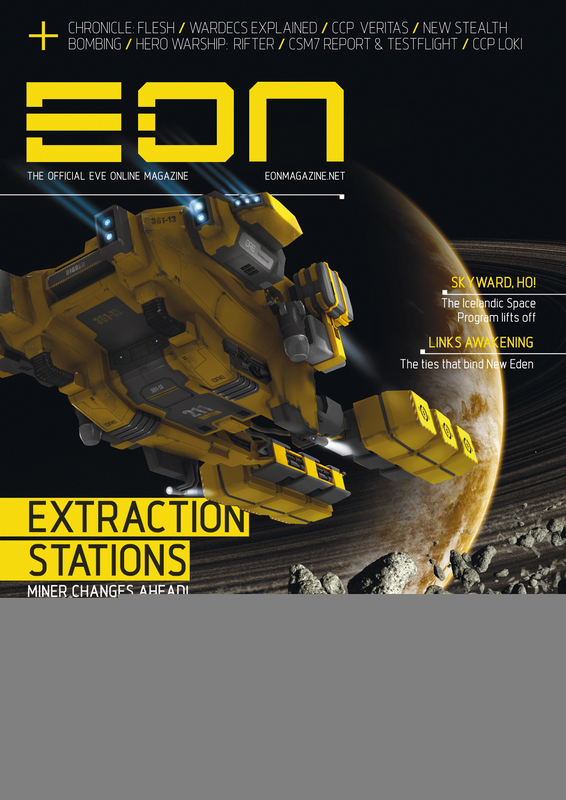 A new issue of the EON magazine is now available. have a say as to how battles are played out in the future. Sleepers, and the future promise of Tech-III ships. mercenary must share the spoils of war. 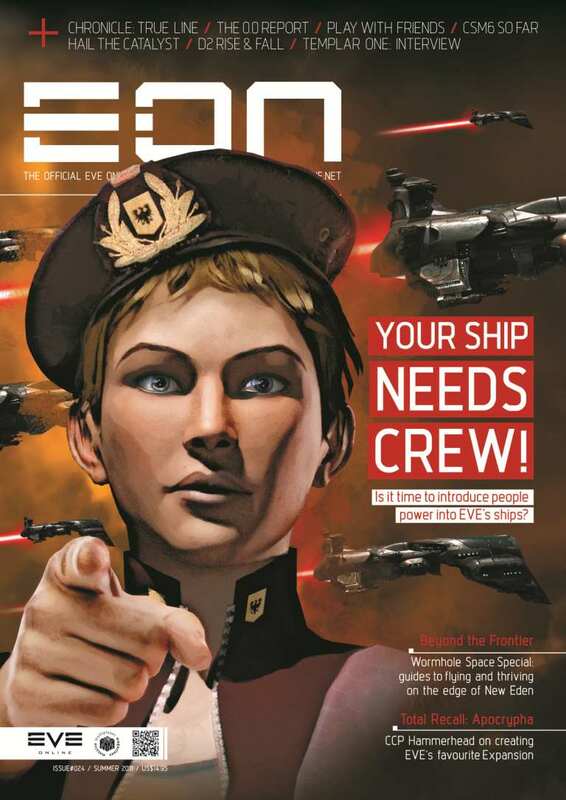 There's a new EVE Online news site out there. Check it out at www.eve-news.com . CCP Games is pleased to announce a Live Dev Blog on the topics of Customer Support and Security. The Live Dev Blog will take place on Thursday, May 26th at 22:00 UTC. 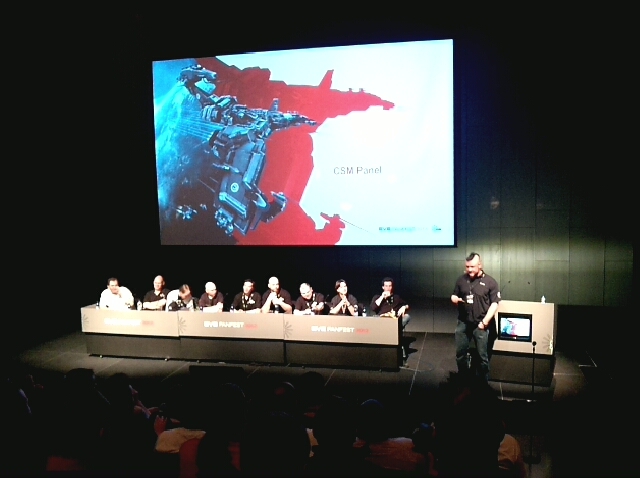 Live Dev Blogs are audio broadcasts from CCP heard in-game through our Vivox-provided EVE Voice service. These broadcasts will provide an opportunity for the EVE Online player community to get to know the CCP devs and our work a bit better, and we’re also looking forward to answering questions that the EVE player community has for CCP. CCP Soundwave will host the Live Dev Blog and will be joined by seasoned Senior Game Masters, Nythanos and Nova, along with CCP‘s very own security expert CCP Sreegs. Here are my pics from fanfest this year enjoy!